Great marketing extends beyond creating and sharing content – and great marketers take it a step further to ensure their strategy is working. They do this (in part) through Instagram analytics tools. Are any of my followers even seeing my posts? Am I missing any comments on my posts? How can I spend my marketing budget better? It’s OK if you have. All marketers question themselves and their strategies, and that’s a good thing. It’s a way of staying accountable. Thankfully, you don’t have to figure out those answers alone. There are plenty of powerful Instagram analytics tools you can use to keep your strategy in sync. Want to make better time, money, and energy investments on Instagram? Up your Instagram marketing game with these nine Instagram analytics tools. Instagram Insights is limited to the high-level analytics (like follower demographics and top post performance), but these can still be powerful for brands looking to better understand their marketing activity. So, don’t dismiss Instagram Insights just yet. Note: To see this demographic information, your Business Profile must have 100+ followers. Instagram Insights also gives you an overview of Instagram Stories activity (within 14 days of posting). More and more marketers are leveraging Stories to connect with their audience and drive traffic to their website, so you should check out this analytics section. If you’re looking for a way to schedule your Stories posts to publish automatically (so you don’t receive notifications at all hours of the day and night reminding you to post them yourself), Sked (formerly Schedugram) can help. You can schedule your Stories posts to publish on a particular time/date or you can add them to your queue. And you can also drive traffic to different promotions by adding a link to them if you have an Instagram business account with this feature enabled. Some marketers have complained that Instagram Insights is too simplistic, but I think it’s pretty cool to have that data right in your app. The only negative in my eyes is the extra math involved (which is my least favorite school subject). If you want to expand your analytics and gain a deeper understanding of your marketing activity, check out the rest of these Instagram analytics tools. Keyhole is a paid service, but they provide a free tracking tool as well as a 3-day free trial. For a business looking to use Instagram as a leading tool in their strategy (including influencer marketing), Keyhole could be a worthy investment. Otherwise, their free trial provides insights up to a year prior – a good preview for brands researching Instagram analytics tools. The Socialbakers application is multi-faceted. They offer a free Instagram analytics tool that gives you an overview of your, most-liked and top-commented posts, most-liked and most-tagged users, hashtags, distribution of monthly posts, and top filters. These high-level stats mirror the Instagram Insights tool but still provide a decent understanding of your activity – for free. Want to take it a step further? Check out the Socialbakers AI Social Marketing Suite. This 5-step tool walks you through the entire Instagram marketing process, from researching and understanding your audience, to promoting your very best content, to creating more effective, engaging content, to measuring and aligning your Instagram impact with your business goals. Depending on how in-depth you want your analytics, the Socialbakers suite comes at a variety of prices. And if you simply want to see how it works before you buy, you can try it fo’ free. Are you leveraging user-generated content (UGC) as part of your Instagram marketing strategy? If so, Squarelovin is the tool for you. The Squarelovin application helps you collect, secure rights for, manage, and publish UGC for your brand, all within one platform. They also provide analytics so you can evaluate the revenue, traffic, and conversions driven by each image. Interested in straightforward analytics? They’ve got that, too. Squarelovin’s Instagram Insights shows you metrics on account growth, information on when to post, insight into your followers’ preferences and interests, and a monthly analysis. Create your free account here. Websta is an entirely free Instagram analytics tool. It’s pretty similar to Squarelovin’s Instagram Insights tool (explained above), but it offers a few more features. If you ask me, that’s a pretty sweet deal for a free analytics app. Unsure of whether you should sign up? Websta provides a preview of their tool here. Union Metrics provides “social intelligence” for multiple channels. Not only does the application give you organic and paid media analytics and reporting, but it also offers social listening and competitor analysis. These latter two tools can help you learn more about your audience and provide the very best content. 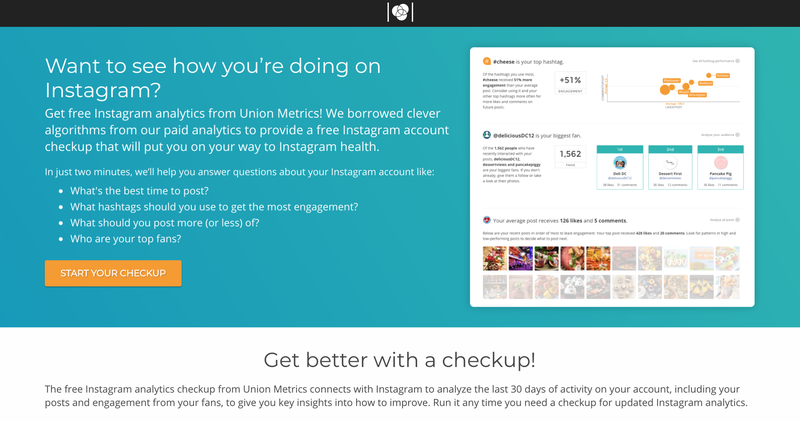 Union Metrics helps brands get started with a free Instagram checkup. The checkup analyzes your activity and engagement for the last 30 days and gives you insights into how you can improve your posting time, hashtags, and content types. Despite the depth and variety of their product offering, Union Metrics keeps their prices pretty friendly. Again – if you’re looking to invest in your Instagram marketing, this may be the tool for you. Simply Measured is another application that provides a wide variety of Instagram analytics tools. From social listening to content analysis to conversion tracking, Simply Measured equips a lot of different marketers. For the social marketer, their paid tool equips you to discover new audiences, analyze your social media activity, and track where you’re conversions originate. Similar to Union Metrics, Simply Measured also provides a free Instagram report for accounts under 25,000 followers. Run this report to measure your account’s post effectiveness and performance for the past two weeks. Pixlee is another platform that aggregates and leverages user-generated content (UGC). 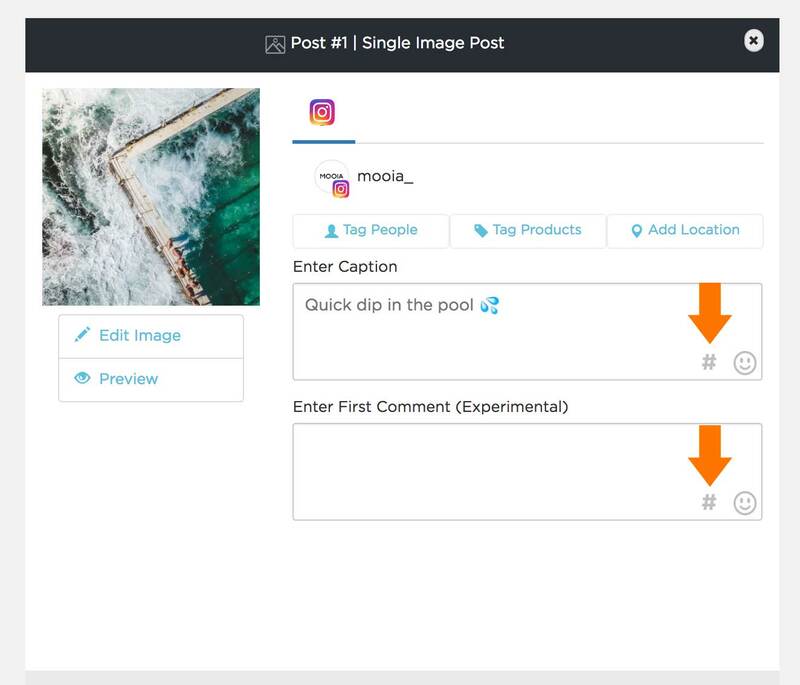 Not only does this tool help you collect and repost others’ photos, but it helps turn your Instagram account into an extension of your e-commerce business with shoppable photos, homepage galleries, and social photo contests. Like Squarelovin, Pixlee offers a free analytics solution, too. Through this tool, you can identify new brand partners and influencers, identify top content and potential posts, turn your day-to-day data into easily shareable reports. Sign up now and get your first report of your past week’s activity. The Basic Social Rank package – available for free! – allows you to view your full audience profile and then sort and rank that information. It also allows you to connect multiple accounts, which is ideal for agencies or brands that have numerous Instagrams. Regarding paid versions, the Premium package allows you to execute campaigns with your audience as well as export data. 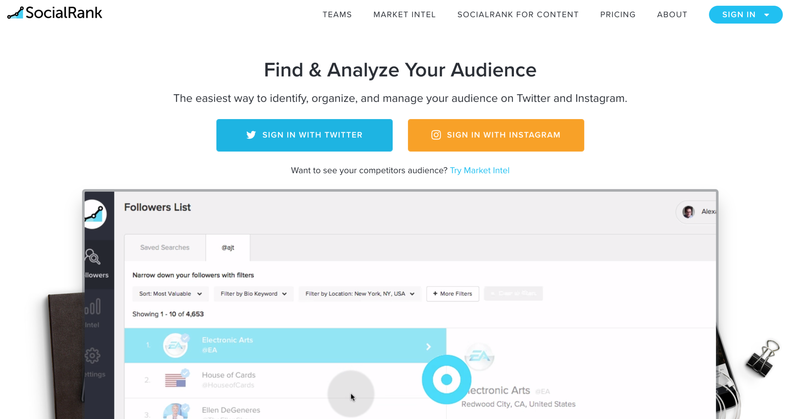 The Market Intel package enables you to run data on any Instagram profile (as long as it’s public) and gives you pretty in-depth competitor analysis. Registering, purchasing, and downloading these Instagram analytics tools are great, but these investments don’t pay off until you use them to fuel new goals – and eventually, sales. How can you turn this newfound data into actionable goals and impactful investments? Here are a few metrics to look for and what they mean for your account and brand performance. In and of itself, your follower count means nothing. Sure, 100,000 followers are great, but it doesn’t say much as a standalone number. By calculating your follower growth rate, you can understand how your community is growing and what content and engagement activity may be feeding that. On the surface, I can see that my audience is growing (which is still good). But when I break my growth rate down by fiscal week, I know that my growth rate jumped in the first two weeks and then steadily declined in the following weeks. Knowing this, I’d go back and analyze what factors – like engagement or content – perhaps slowed by account’s growth and then change those strategies moving forward. This data would also equip me to better set KPIs and predict growth in following weeks. Receiving likes and comments on your posts is exciting. Engagement is a critical indicator that your audience appreciates and connects with your content. But, how do you know what exactly they like? Well, those who comment are likely telling you. While it’s easy to double tap and like a photo, those followers who are actually engaged (and not Instagram bots) will probably comment and share what they like about your photo, answer a question you’ve posted, or even tag a friend or other account. Most Instagram analytics tools will measure and report on the likes, comments, and general engagement of each post. But tools like Simply Measured and Union Metrics analyze and share top comments and the language used in each. Tracking the sentient of each comment can tell you what your followers like and appreciate about each photo, whether your photography, quote, or product feature. This data can help you create content that your followers consistently like and engage with. Posting content with hashtags is a surefire way to drive engagement. In fact, one study found that photos with at least one hashtag resulted in 70% more likes than posts without hashtags. When posting content on Instagram, it’s easy to snag the most popular hashtags in your industry or circle just to include some in your caption. But, these hashtags are popular for a reason. Their high-volume feeds are likely bogged down with lots of content, meaning your posts could get lost. If you’re a small business or new brand, you have a better chance of ranking with low- to medium-volume hashtags. 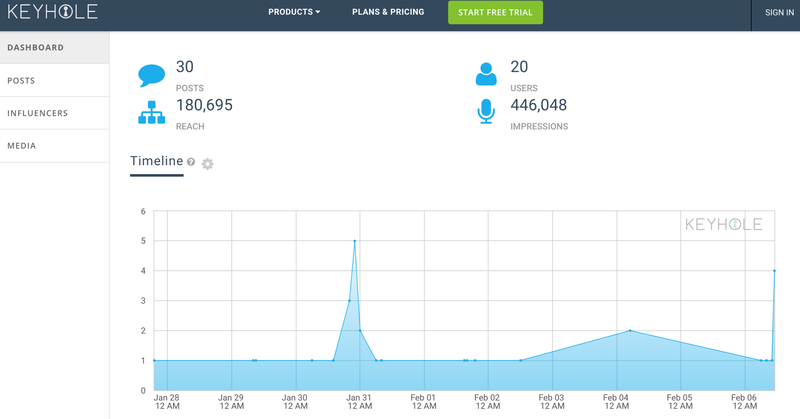 To analyze hashtag performance and popularity, use a tool that has a dedicated tracking feature (like Keyhole). These tools will steadily watch popularity, compare commonly-used hashtags, and show you new hashtag opportunities. This data can help you use the best possible hashtags for discovery and growth. Of course, the downside to using hashtags is that it’s hard to keep track of them and adding them to your posts can be a hassle. 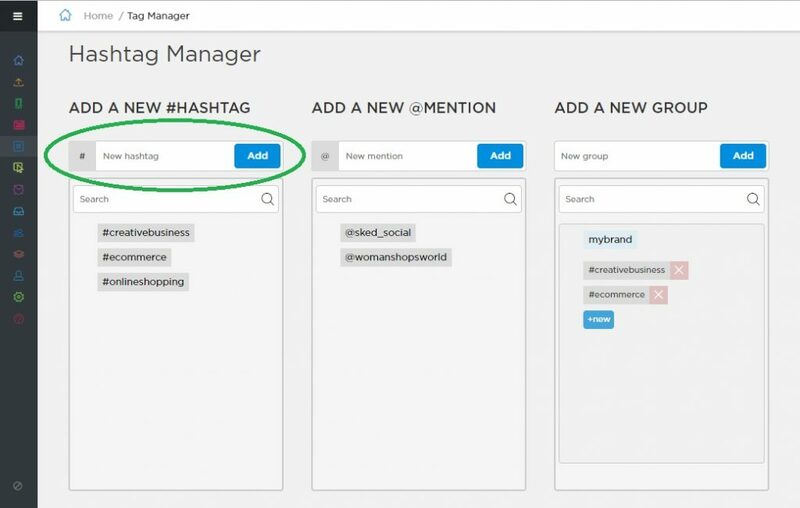 If you haven’t tried it yet, Sked’s hashtag manager is a great tool that solves both these problems. 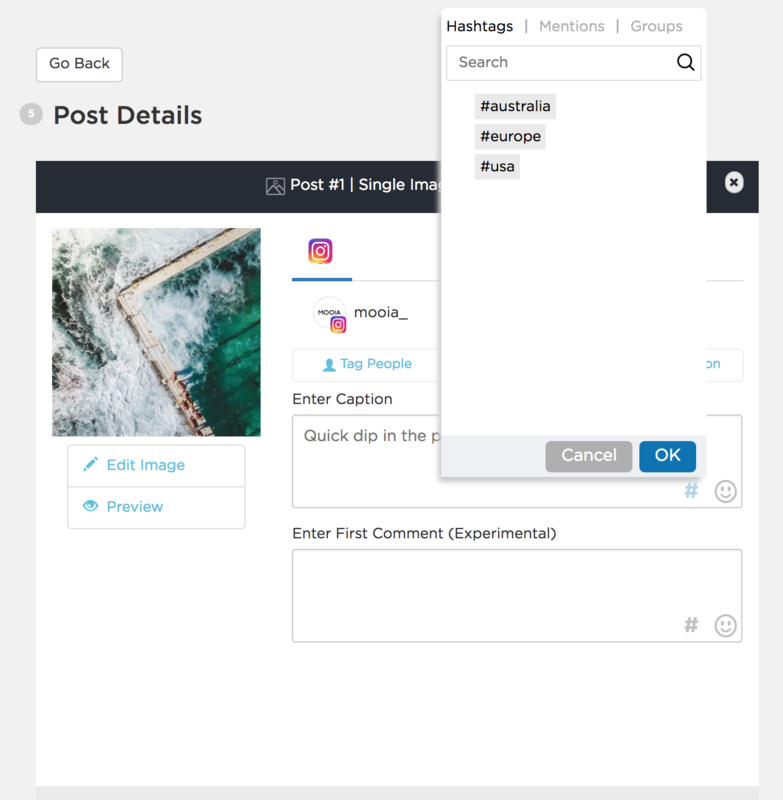 You can store all your hashtags in one place and add them to your posts while you’re creating them. You can even divide them into groups and add up to 30 of them to your captions or first comments with just a couple of clicks. To try it out, log in to Sked and click on the hashtag manager option in the sidebar menu. Then, type your hashtags into the ‘New hashtag’ field (green circle below) and add them. 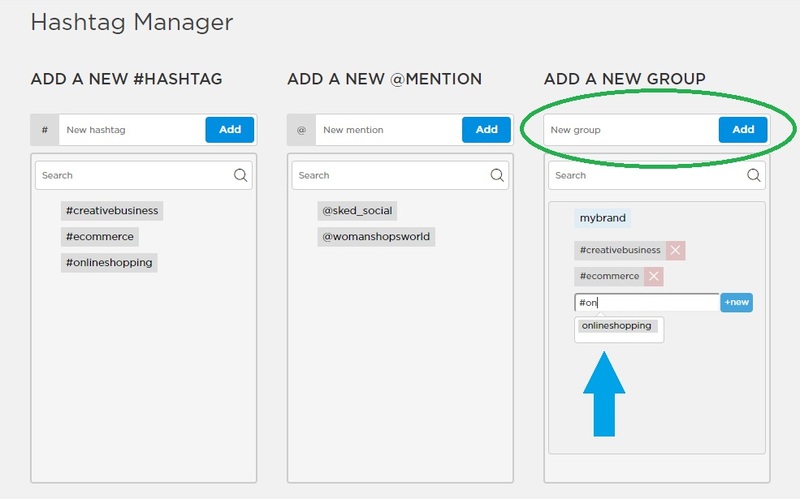 To save a set of hashtags as a group, simply type the name you want to use in the ‘New group’ field and click add (green circle below). Once you’ve created your group, add your hashtags (blue arrow). Now, when you want to add a hashtag (or group of hashtags) to a post, just click on the # symbol in either the caption or first comment section when you’re creating a post (see below). And then click on the hashtags (or group of hashtags) you want to add. Once you’re done, click OK.
Then, finish creating your post and when you’re done, either add it to your queue, save it as a draft or schedule it for a particular time/date. Easy! While it’s essential to create beautiful content that resonates with your audience, that’s only half of a successful Instagram marketing strategy. These Instagram analytics tools and platforms can help you bring your plan full circle to ensure your time and budget are efficiently spent.